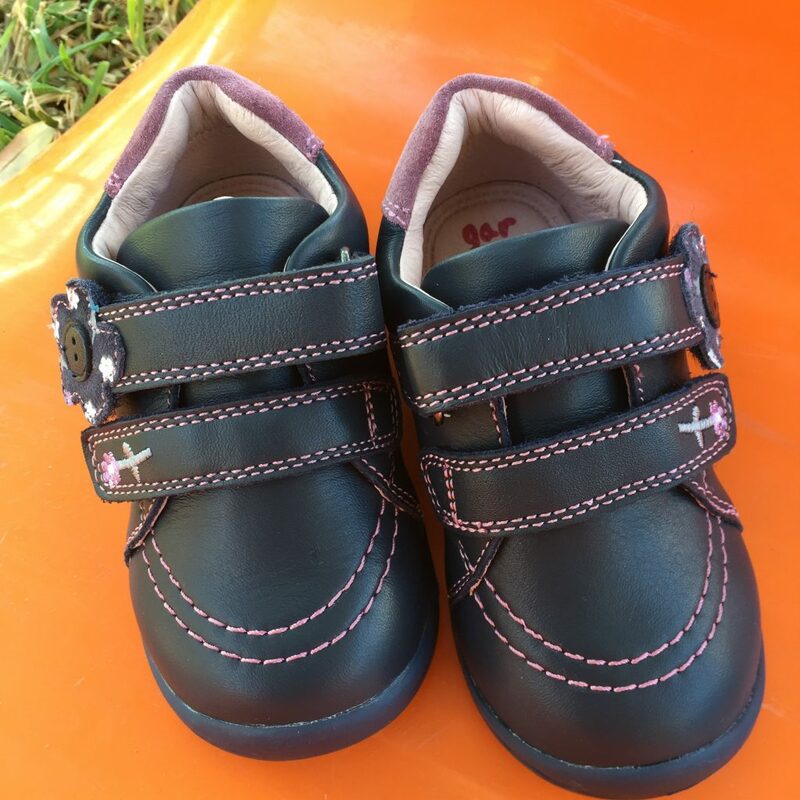 He escrito varios posts sobre calzado infantil, siempre llegando a la misma conclusión: lo barato sale caro. Y es que cuando hablamos de los zapatos de los niños, no hay que escatimar. La firma de calzado española Garvalín nos ha dado la oportunidad de probar algunos de sus zapatos de la colección otoño-invierno. En mi caso elegí para las niñas, unas botas en color marino, perfectas para el día a día, ante todo comodidad en el cole . Como veis en las fotos, sujetan muy bien el pie porque son altas tienen cremallera mucho más fácil para abrocharse ellos solos. 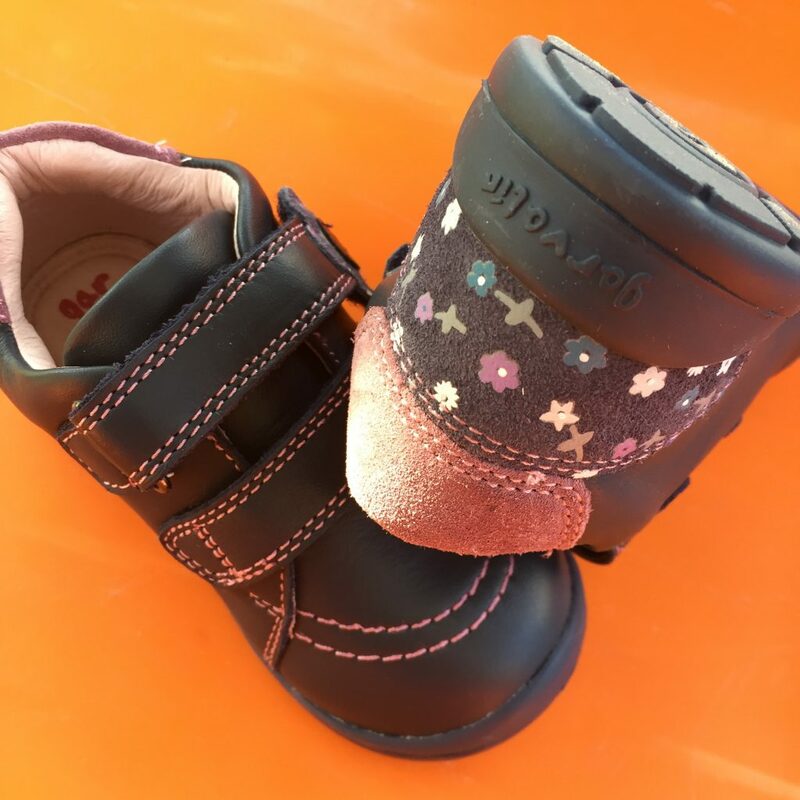 La empresa de calzado infantil Garvalin ofrece una amplia propuesta de zapatos para niño y niña. En ellas encontraréis calidad, diseño y comodidad. Tienen además de estas dos marcas que os he mencionado, Garvalin, Biomecanics, la licencia de Agatha Ruiz de la Prada. Para los más pequeños de la casa, integra diseños agradables en cuanto a materiales y pieles, con refuerzos en puntera y talón y pisos de goma. 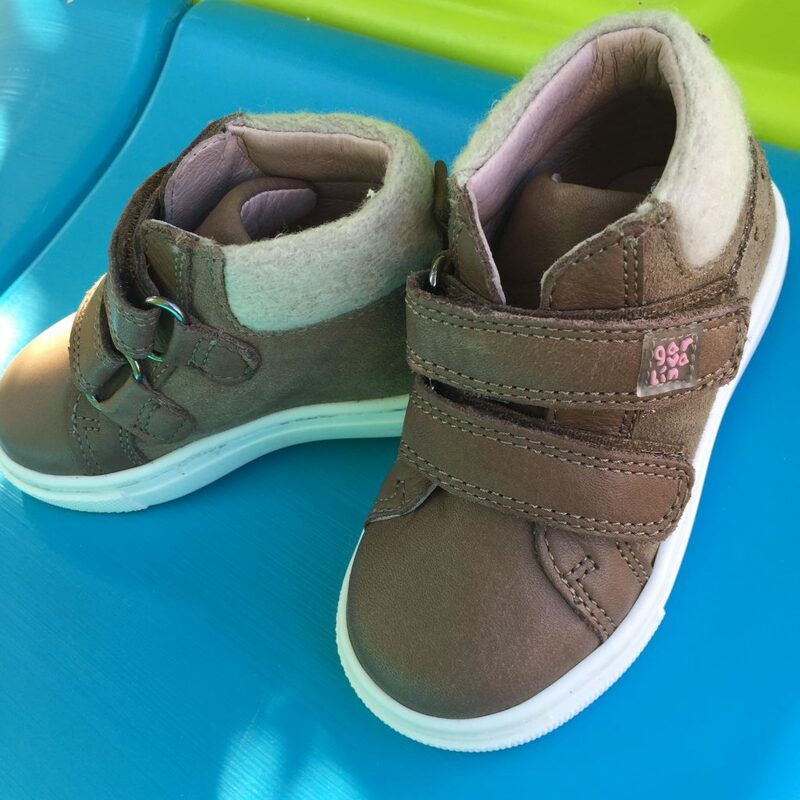 Para ellas, la firma presenta botitas y zapatitos con aires clásicos y motivos florales, bordados… como en el caso de los modelos Baby Flex o Jump. Biogateo de Biomecanics como calzado infantil las más importantes a destacar son que tiene una suela hiperflexible y una puntera a prueba de golpes por lo que los deditos de vuestros bebés estarán a salvo ante cualquier tropiezo. Lleva un sistema de estabilizadores laterales que ayudan a que vuestro peque mejore su equilibrio, centrando su eje de gravedad pero sin bloquear el tobillo. Cómo veis en las fotos, Garvalin tiene especial cuidado con las punteras y talones. Es un zapato reforzado pero para nada ortopédico, confiriendo importancia al diseño que también es importante para nosotros los padres. ¿Sabéis lo que más me ha gustado de esta prueba de producto? Pues que Garvalin me ha dejado en todo momento que diera mi opinión sincera. Eso ya dice mucho de la seguridad de una marca sobre sus productos. Por eso os los recomiendo. Podéis comprarlos aquí en su tienda online. Muy bonitos. Los niños tienen los pies muy delicados y hay que cuidarlos desde pequeños. Gracias!! Además de bonitos, son cómodos y seguros para los peques, me han gustado mucho. Echaremos un vistazo, gracias por la recomendación. Es una marca estupenda y tiene unos diseños chulísimos para los peques.La conozco desde hace años, y siempre me ha dado muy buen resultado. Tienen mucha variedad y una marca de toda la vida yo he llevado botas Garvalín al cole . Thanks , I’ve just been looking for info about this topic for a while and yours is the best I have found out till now. However, what concerning the conclusion? Are you positive in regards to the supply? We really enjoy your blog and find nearly all of the discussions to be just what I am in need of. Do you offer guest writers to post content for you? I would not mind publishing a story regarding shareit lenovo or on a few of the subjects you write about on this site. Cool page! Hello there, I am truly happy I found this webpage, I really discovered you by error, while I was researching on Yahoo for medical negligence attorneys. Anyways I’m here now and would simply like to say kudos for a incredible write-up and the all around interesting site (I too love the theme/design), I do not have sufficient time to read through it entirely at the moment but I have book-marked it and also added your RSS feeds, so whenever I have time I’ll be back to go through a great deal more. Make sure you do maintain the great job. I was talking to a good friend of my own on this article and even regarding omega xl for sale too. I do think you made a few very good points on this page, we are excited to keep reading stuff from you. I am definitely loving the design of your blog. Do you ever run into any kind of web browser compatibility troubles? Some of the site audience have lamented regarding my garageband free blog not operating properly in Internet Explorer yet seems great in Chrome. Have you got any solutions to assist correct that matter? Greetings! I’ve been following your weblog for a long time now and finally got the bravery to go ahead and give you a shout out from Porter Texas! Just wanted to tell you keep up the fantastic job! My spouse and I stumbled over here by a different web address and thought I should check things out. I like what I see so now i’m following you. Look forward to checking out your web page repeatedly. There is awesome changes on the style of the website, I definitely love that. My own is dealing with phone locator and presently there are a lot of stuff to do, I’m currently a newbie in internet site design. Take care! Hi there! This is my very first reply on your website so I simply wanted to say a fast shout out and say I truly enjoy reading through your blog posts. Can you recommend other blogs which cover router configuration? I’m also really fascinated by this thing! Thank you! Hello, what do you think about wireless sport headphones? Really interesting idea, huh? Nice post. I study one thing more challenging on completely different blogs everyday. It can all the time be stimulating to read content material from different writers and observe just a little something from their store. I’d want to make use of some with the content on my blog whether or not you don’t mind. Natually I’ll provide you with a link on your web blog. Thanks for sharing. I felt amazing reading this and I think you’re totally correct. Tell me in case you are interested in black upvc windows, that’s my major competency. I really hope to see you in the near future, cheers! In the grand pattern of things you actually secure an A just for effort and hard work. Exactly where you misplaced me personally was first in all the particulars. As as the maxim goes, the devil is in the details… And that couldn’t be more correct right here. Having said that, permit me reveal to you precisely what did give good results. The text can be quite powerful which is probably why I am making an effort in order to opine. I do not really make it a regular habit of doing that. Next, despite the fact that I can easily see a leaps in reasoning you come up with, I am definitely not convinced of how you seem to connect your details which inturn help to make the final result. For now I shall subscribe to your point but hope in the near future you link your facts better.